Sometimes I want something warm for breakfast, but different than my regular oatmeal. This breakfast quinoa bowl is unique and only takes about 15 minutes to prepare. No added sugar because the fruit is all the sweetener needed. 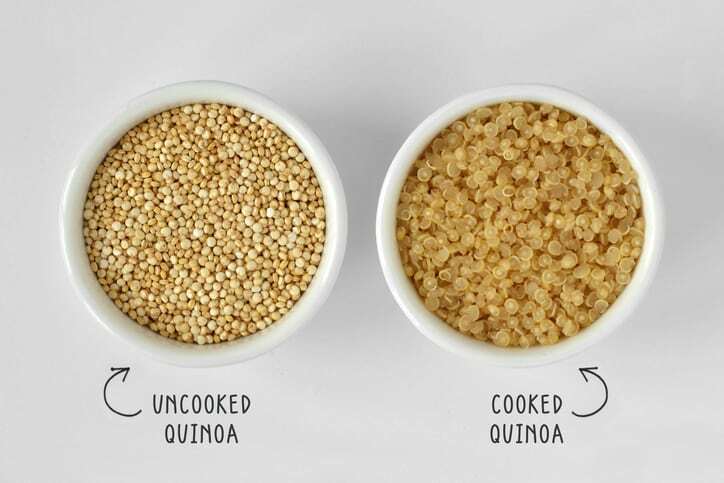 Quinoa is a highly nutritious grain that was a staple in the diet of the ancient Incas. It has a delicious flavor and a light, fluffy texture. It’s also packed with protein! While it is commonly served as a side or main dish for dinner, it can also be a delicious healthy breakfast bowl. It cooks on the stovetop, microwave, or steamer just like rice in about 15 minutes. Quinoa is an ancient grain that is full of fiber and protein. 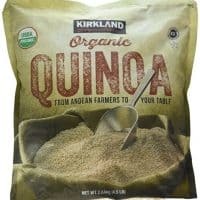 Authors of this review point out that quinoa is a pseudograin that has an impressive protein content of 15 percent, and one of the few plant-based, complete protein foods. Quinoa is packed with numerous essential vitamins and minerals, while being free from dietary cholesterol and low in sodium. According to the USDA, vitamins and minerals abundant in quinoa are vitamin E, folate, B vitamins, zinc, potassium, phosphorous, magnesium, iron and even a small amount of calcium. If you prefer a creamy warm breakfast, Use an immersion blender to puree for just a few seconds. A regular blender can also be used by simply transferring half the fruited quinoa to the blender, then returning to pan when done. I used to do this but found over time that I prefer it unblended. Blending with an immersion blender is a step I used to add, but now love this recipe without any blending. 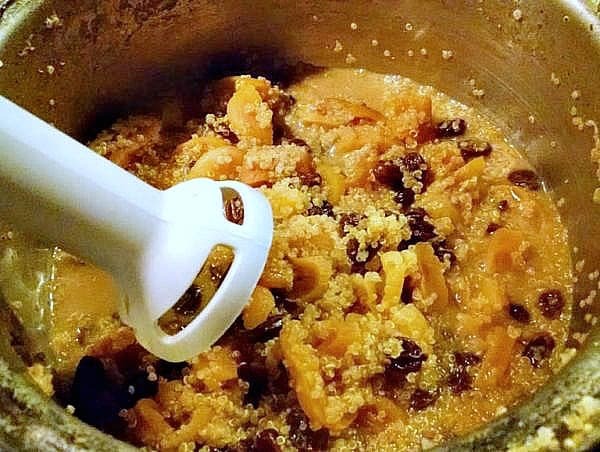 I love to make this with raisins and dried apricots. It can also be made with other delicious options like mango, peaches, and berries. They can be fresh or dried, whichever is your preference. 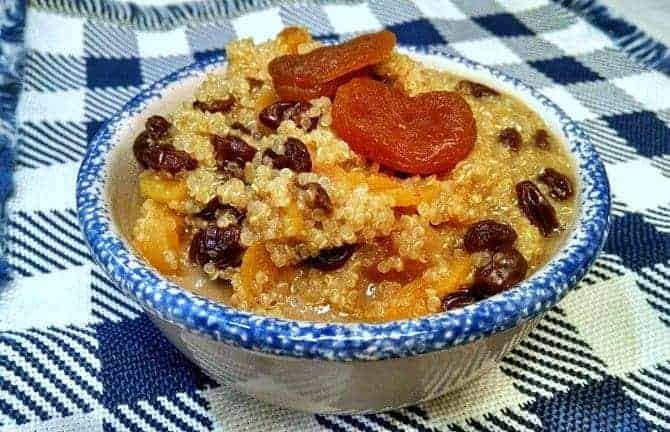 When we make this recipe in the Food for Life nutrition education and cooking classes, participants are always amazed by how sweet it taste without any added sugar or sweeteners. This recipe from Physicians Committee, Food for Life classes. Wholesome recipe for hot quinoa breakfast cereal. 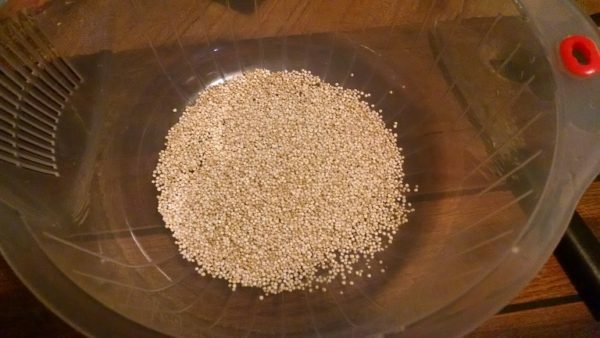 Quinoa is a highly nutritious grain that was a staple in the diet of the ancient Incas. It has a delicious flavor and a light, fluffy texture. To adjust the serving size on any of my recipes, simply enter the desired number of servings in the 'servings' box under the ingredients, and the program will automatically adjust the ingredient amounts. 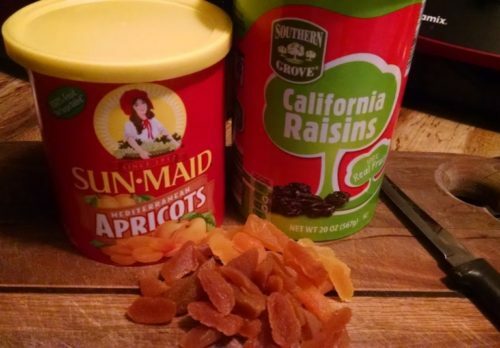 Slice apricots into bite-sized chunks. 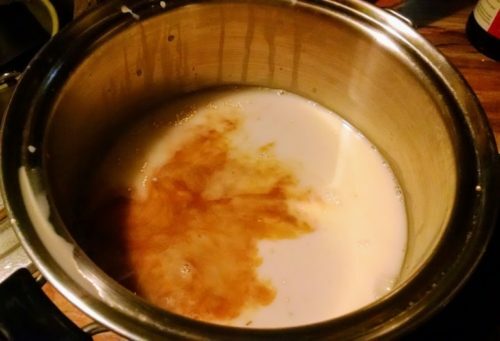 In medium saucepan, combine quinoa, plant milk, vanilla. Bring to a slow simmer. 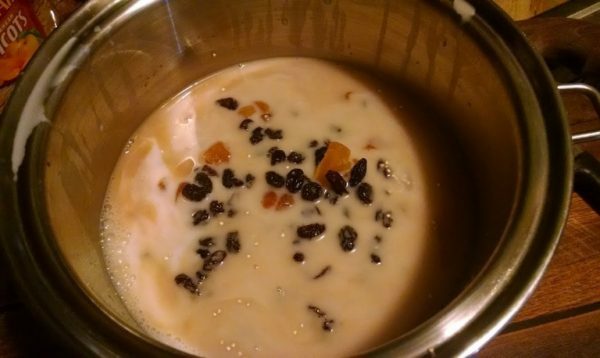 Add raisins and apricots, cover, and cook for about 15 minutes. This step is OPTIONAL. If you prefer a creamy warm breakfast, Use an immersion blender to puree for just a few seconds. 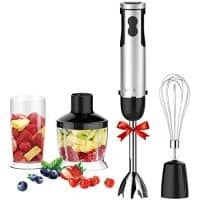 A regular blender can also be used by simply transferring half the fruited quinoa to the blender, then returning to pan when done. Personally, I prefer to skip this step and just eat completely whole. Spoon into bowl and serve warm. Great change from oatmeal. Simple but tasty. Love this lady’s flavor combanations.